The main pool is a six lane, 25 meter pool that runs in depth from 3 feet to 8 feet. Diving is allowed in the main pool in designated areas. Lane lines may be installed (upon request) at certain hours to allow swimmers to swim laps. 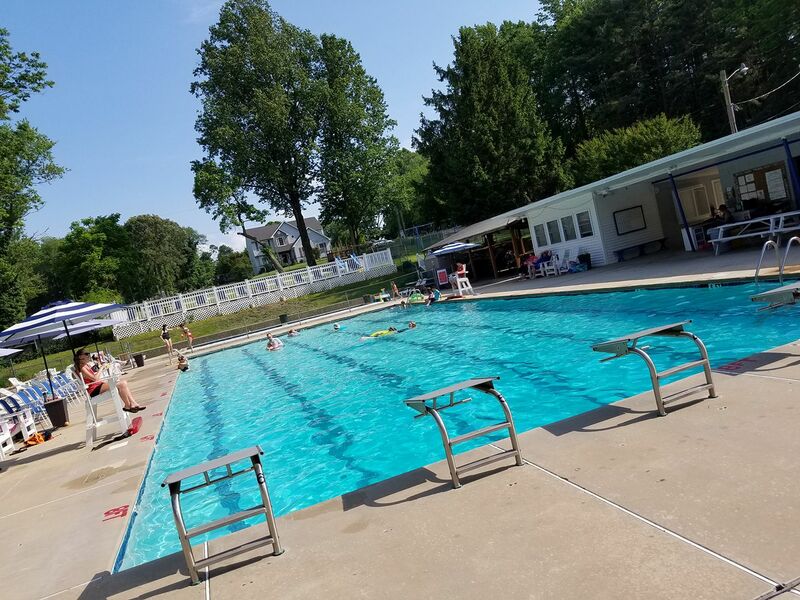 Regular annual maintenance keeps the pool looking great. 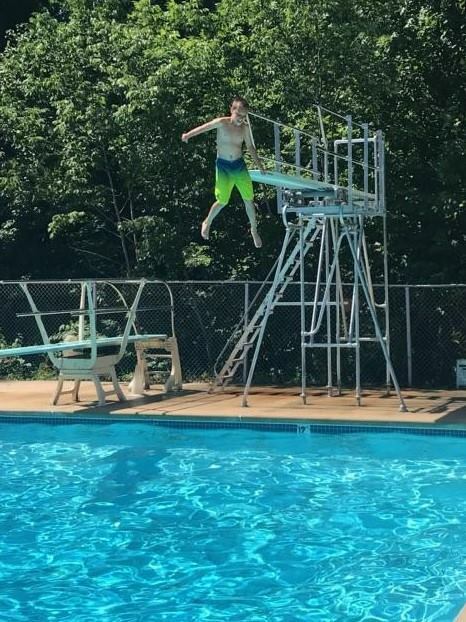 The dive pool is 12 foot deep and approximately 30 ft square. It features a 1-meter diving board, a 3-meter diving board (newly refurbished in 2018), and a tube slide! 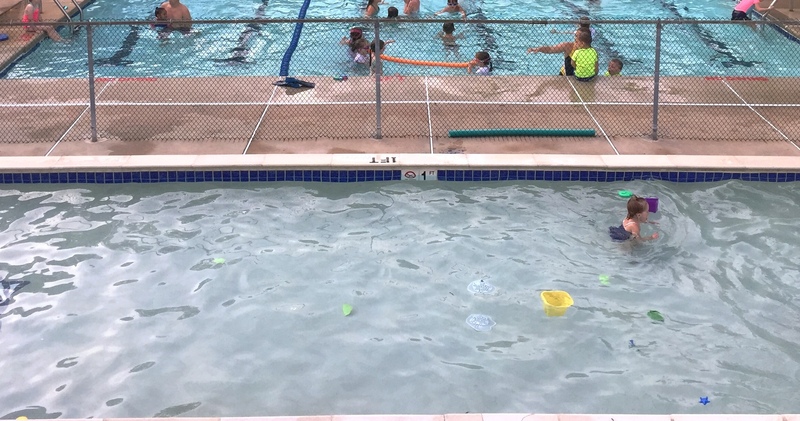 This unique setup (a completely separate pool) allows for very safe and controlled water fun. The diving pool is also occasionally used for water polo games, particularly the annual lifeguards-vs.-parents grudge match every July 4th. 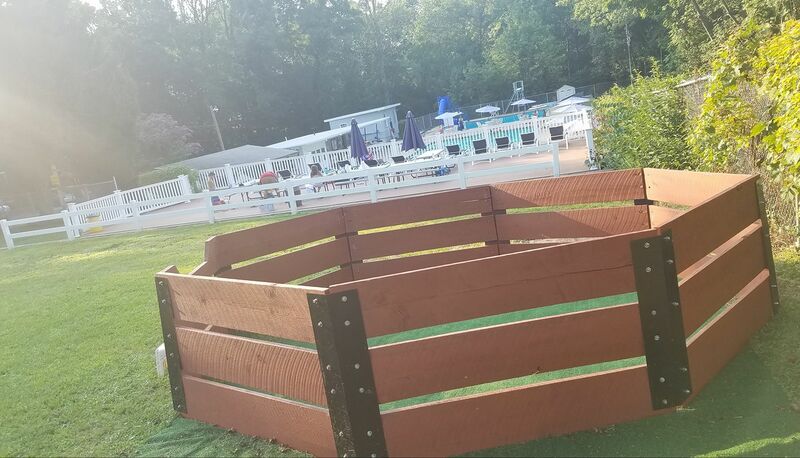 The baby/toddler wading pool is approximately 30 ft by 8 ft. A full fence surrounds and it has a completely separate filtration system. Our play area features Swingsets, Gaga ball, Basketball, Tetherball and Ping Pong for out of the water fun. Our spacious deck overlooks the pools and the playground, making it perfect for parents as well as sunbathers. 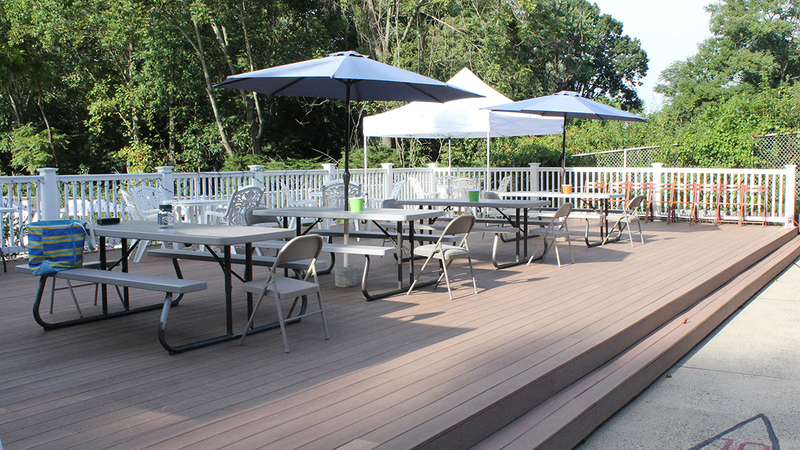 The deck is a perfect place for a party this summer! Our restrooms also house a baby changing table, a shower and enclosed dressing stalls. At the RVSC Snack Bar, everything is $1.00! It is staffed for 15 minutes each hour, but you can get something at any time by stopping by the manager's desk. It is open from club opening until club closing selling drinks, candy, snacks, and cold treats! Every Friday night can find families dining under our pavilion with our popular Friday Pizza Night at the club.